Take control of all your data in real-time. 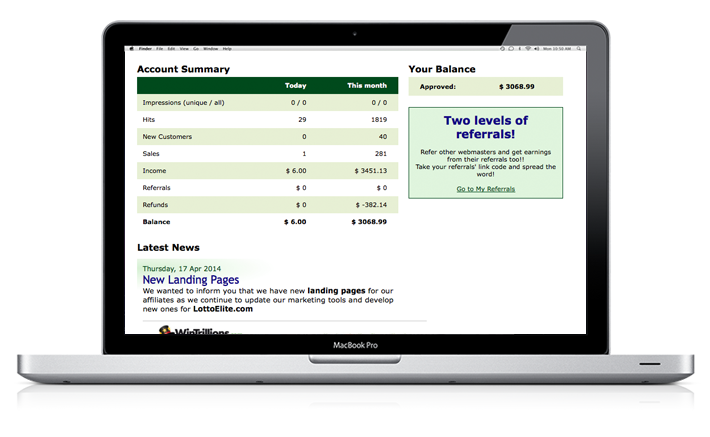 LottoElite offers a powerfull stats system where you can see all your account information and get detailed reports by site or date. Quick report gives a complete overview of all transactions and commissions generated by you and your referrals during a selected time period. 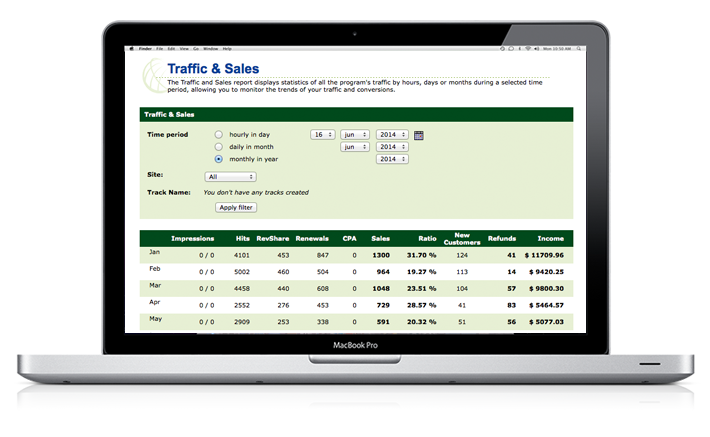 The Traffic and Sales report displays statistics of all the program’s traffic by hours, days or months during a selected time period, allowing you to monitor the trends of your traffic and conversions. This report displays a list of all your transactions in a time period. 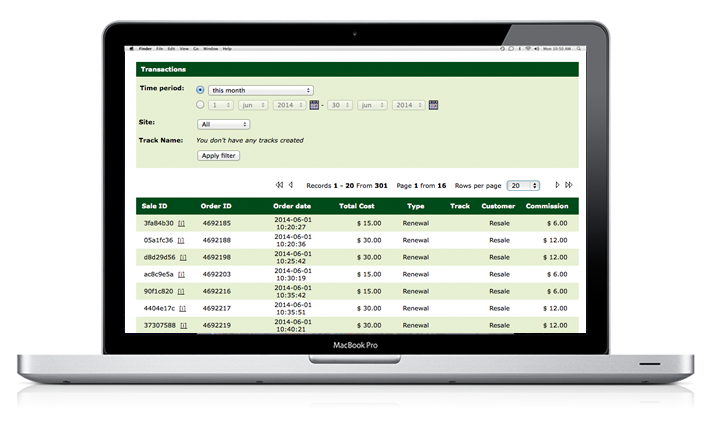 The Transaction Report includes details of each transaction like date, type and commission.